Boasting a remarkable array of artwork from both past and contemporary architectural figures such as John Hejduk, Michael Webb, Daniel Libeskind, Frank Gehry, Zaha Hadid, Rem Koolhaas, and Bernard Tschumi, Drawing Ambience reflects and encourages the late Alvin Boyarsky’s assimilation of architectural drawings. During his tenure at the Architectural Association in London, Boyarsky developed a profound appreciation of these drawings. Known as a man with a keen eye for talent, Boyarsky fostered many young architects who would later dominate the field. He urged his students to investigate contemporary issues and use the evolving global culture as a vehicle to develop their own architectural agendas. 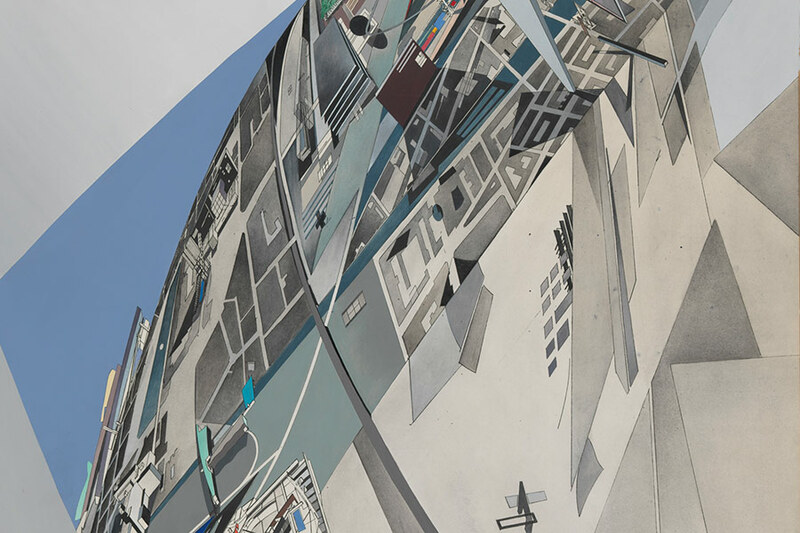 These agendas manifested in the students’ visual work that Boyarsky regarded as equally important to the physical structures they depicted, viewing them as pieces of architecture in their own right. Visitors can expect to see works ranging from Hadid’s chaotic and crisp visualizations of her un-built projects to Koolhaas’ playful, almost Gameboy-esque The Pleasure of Architecture. The exhibition is currently on view at the Cooper Union in the Arthur A. Houghton Jr. Gallery and closes on November 25.